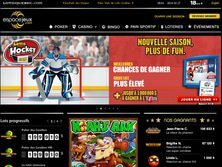 EspaceJeux is an online gaming and betting site which offers its Canadian players with wide selection of casino games, lottery, sportsbooks, and other specialty games. The site is owned and established by Loto-Québec which is based in Canada. It is also duly registered and licensed under the government of Québec, Canada. Managed by a Canadian company, the primary language featured on the gaming site is French. Interested players should be able to understand French to fully enjoy the games featured on the said site. There are numerous software developers which provide the featured games in EspaceJeux. Some of these include GTECH G2, OpenBet, Cozy Games, Ash Gaming, Microgaming, Endemol Games, and IGT Interactive. But the site's primary software developer is Spielo G2 which provides its wide array of games. These games are categorized on table and card games like varieties of blackjack games, baccarat games, poker games, and roulette games. The site also offers special and interactive games such as classic and mobile lotteries, classic and virtual slot games, arcade games, bingo, games with progressive jackpots, and sportsbooks. Espace Jeux's games run on the renowned Canadian Poker Network (CPN) which assures the safety and security of players. 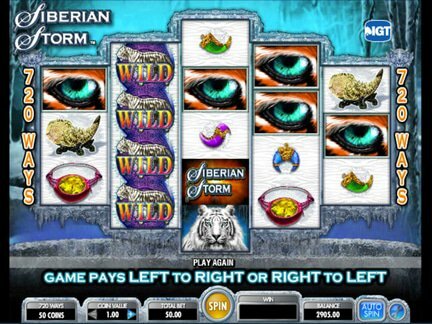 Some of the site's popular game titles include Bars and Bells, Cash Drop, Bejeweled, Wheel of Fortune, Coyote Moon, Highwayman, Pharaoh's Treasure, Reel Gems, Robin Hood, Chain Reactors 100, Cleopatra, Adventures in Wonderland, Midas Millions, 100 Ladies, Aladdin's Legacy, Black Widow, Cats, Cash Coaster, Chuzzle Slots, Deal or No Deal Express, Fire Opals, and many more. Espace Jeux is also available for mobile gaming. Players may opt to download the software version or play in an instant play option. This gives players the access on the site's featured games wherever they are. One of the mistakes Espace Jeux has done as an betting site, is that they don't offer any promotions or bonuses to its players. New players are not entitled on a sign-up bonus, as well as other welcome bonuses, on this site - compared to other gaming sites which offer loads of welcome bonuses, deposit incentives, and many more. This lapse by the site veers players away from playing on it. The only chance player have the chance to earn rewards and bonuses for themselves is through playing and winning on some of the site's games. Espace Jeux does not also offer loyalty or VIP privileges to its existing players. According to some casino review sites, these downsides of the site somehow affected and limited their number of players. Players tend to try out other online gaming sites which offer more rewards and bonuses than EspaceJeux. Despite of this downfall, some players still stay on the site because lesser players on a game mean the greater chances they win the jackpot. Nevertheless, a little number of online players doesn't mean success for EspaceJeux. These factors earn Espace Jeux a 2 out of 5 rating.